Nate Diaz kept it short and sweet with his verbal shot towards Khabib Nurmagomedov and his team. Conor McGregor and Nurmagomedov recently engaged in a war of words. The “Notorious” one claimed that “The Eagle” was “b*tching” throughout their Oct. 2018 clash. Nurmagomedov responded by reminding McGregor who won that bout. Diaz hasn’t been seen inside the Octagon since Aug. 2016. That was his rematch against McGregor. Diaz won the first bout via submission, but he lost their second encounter via majority decision. The Stockton native was set to make his return in Nov. 2018. He was scheduled to meet Dustin Poirier at UFC 230. Poirier was forced to pull out due to an injury. Diaz was also removed from the card. As for Nurmagomedov, the UFC lightweight champion awaits a decision from the Nevada State Athletic Commission (NSAC). Nurmagomedov is expected to receive a punishment from the NSAC for his role in the post-UFC 229 main event brawl. 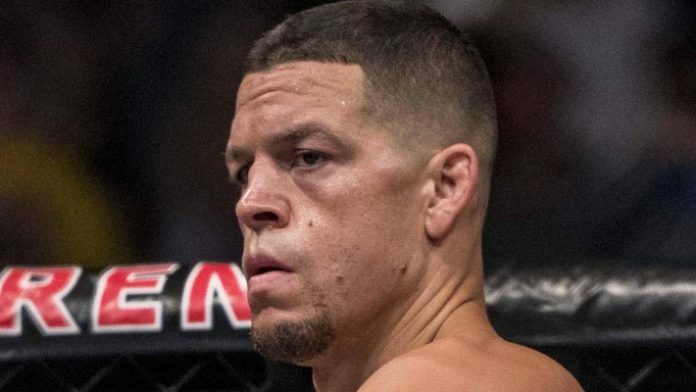 Do you think Nate Diaz would return for a bout with Khabib Nurmagomedov?